Did you know that you can cook oatmeal in the oven? Yes, you can! In fact, it’s very easy to bake oatmeal. 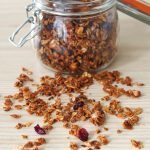 While oatmeal is most commonly cooked on the stovetop or the microwave, when I’m looking for a different way to enjoy this healthy breakfast food, I pop this oatmeal casserole in the oven. 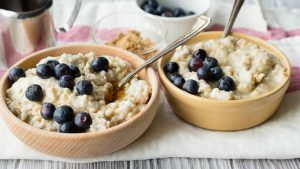 Cooking oatmeal in the oven results in tender oats that hold their shape. It doesn’t become porridge-like or mushy. Instead, the oats keeps their distinct texture that you can see in the photo below. My family loves this healthy baked oatmeal recipe. 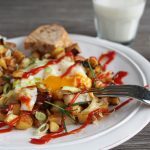 It’s also a great recipe if you are feeding breakfast to a large group of people. 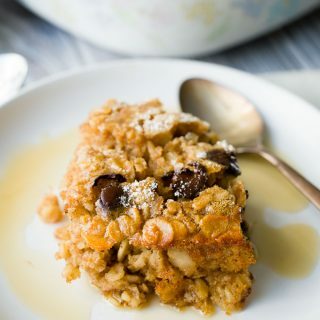 While oatmeal might not seem like a special breakfast dish, this baked oatmeal casserole gives the ordinary grain a new dimension. What makes this baked oatmeal recipe so healthy? I’ve carefully selected the ingredients in this recipe to make this a healthy baked oatmeal. In this recipe, you’ll find oats, almonds, almond butter, egg and milk. These ingredients pack in a punch of protein and help you stay full. 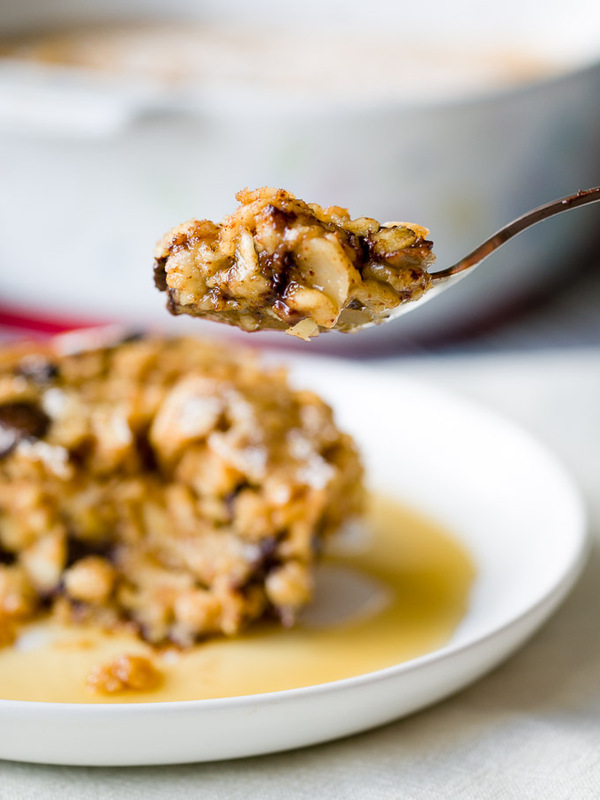 There is no refined sugar in this healthy baked oatmeal recipe. Instead, I use maple syrup to sweeten it, and a handful of dark chocolate chips. But even with the addition of maple syrup and dark chocolate, it’s not an overly sweet breakfast. You can top your baked oatmeal with additional maple syrup once it comes out of the oven though. 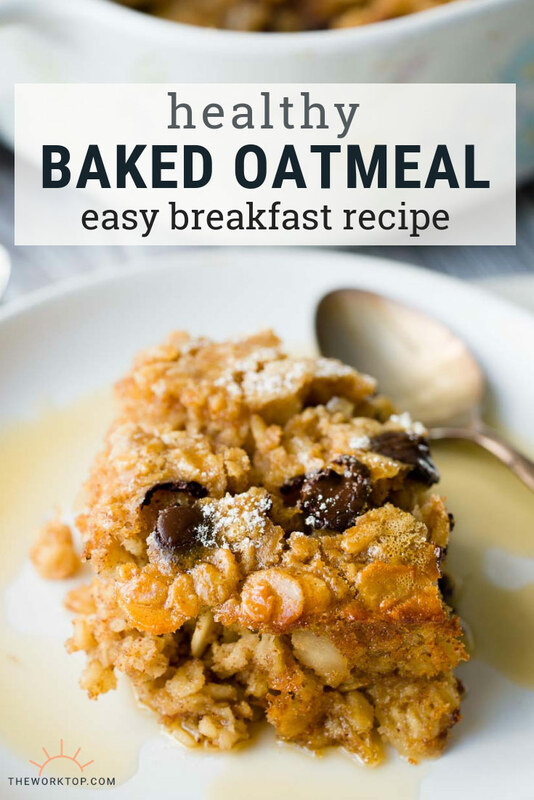 Making baked oatmeal is very easy! You need two bowls, one baking dish, a mixing spoon, and about 45 minutes for it to cook in the oven. 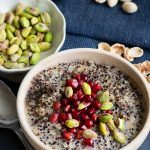 In one bowl, mix together the dry ingredients – oats, sliced almonds, baking powder and salt. In the second bowl, mix together egg, almond butter, maple syrup, milk and vanilla. 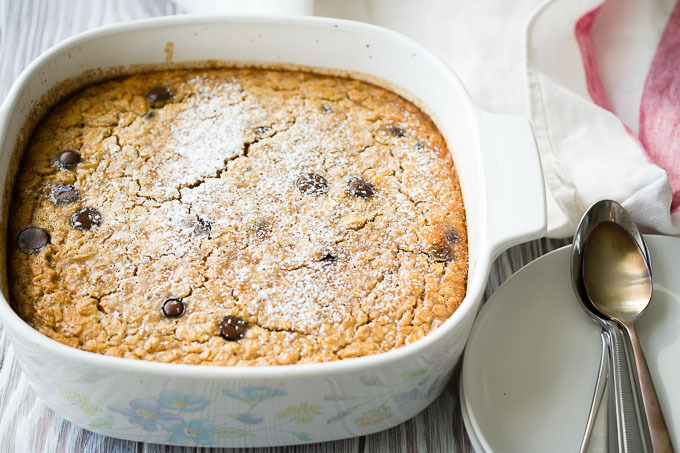 The egg and baking powder makes this baked oatmeal lighter than stovetop cooked oatmeal. 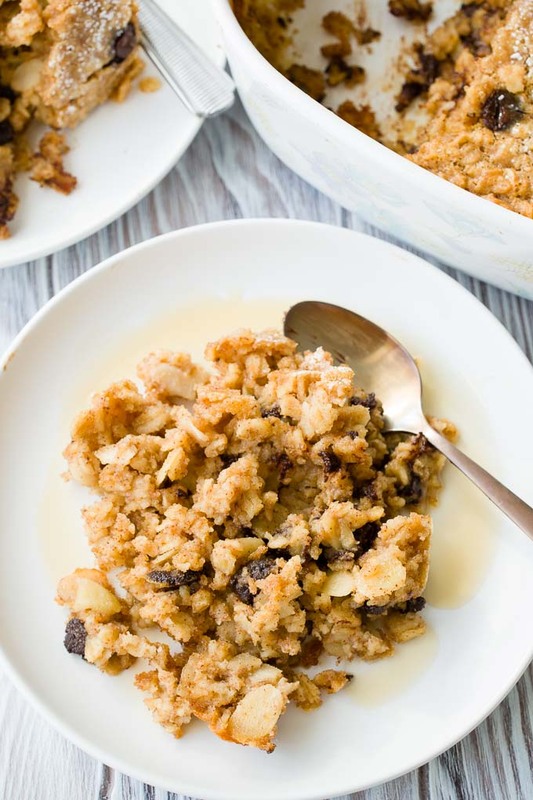 The milk gives the baked oatmeal a creamy and rich taste. 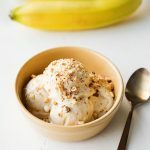 Sliced almonds provide texture and almond butter makes it flavorful. Lastly, before you pop it in the oven, top it with a handful of dark chocolate chips. The dark chocolate chips helps sweeten the breakfast a little, while complementing the almond butter. Can I prepare this baked oatmeal casserole the night before and let it rest overnight? Yes. You can prepare this healthy baked oatmeal the night before to save time in the morning! To do so, once you mix everything together, cover the bowl and set it in the refrigerator overnight. Do not pour it into the baking dish. In the morning, lightly grease the baking dish with a bit of oil. Then give the oatmeal mixture a good stir before transferring it into the baking dish. The reason I refrigerate the oatmeal batter in the mixing bowl as opposed to the baking dish is because it helps the oatmeal not stick to the pan when it bakes. It’s just a precaution. While it’s very easy to make this baked oatmeal recipe, here are a couple tips that will help you get the best baked oatmeal casserole. Try not to swish the oatmeal batter around once you transfer it from the mixing bowl into the baking dish. If you swish the oatmeal around, you’ll end up with an ugly rim around your baked oatmeal. You can see it the picture below. Because I was just feeding this to my family, it wasn’t a big deal for me. But if I meant to serve this to guests, I’d have been extra careful not to move the oatmeal batter around the baking dish when I transferred it to the oven. If you do swish it around on accident, give the rim a wipe with a wet cloth or paper towel before popping in the oven. 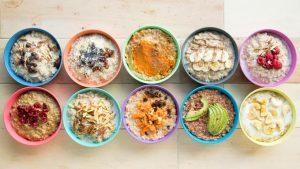 What kind of oats are best for making baked oatmeal? 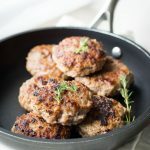 Make sure you use old fashioned oats for this recipe. You can make baked oatmeal with steel cut oats (pinhead oats), but that will need a different recipe. A second recipe for baked oatmeal is forthcoming. But in the meantime, stick with old fashioned rolled oats if you are following this recipe. 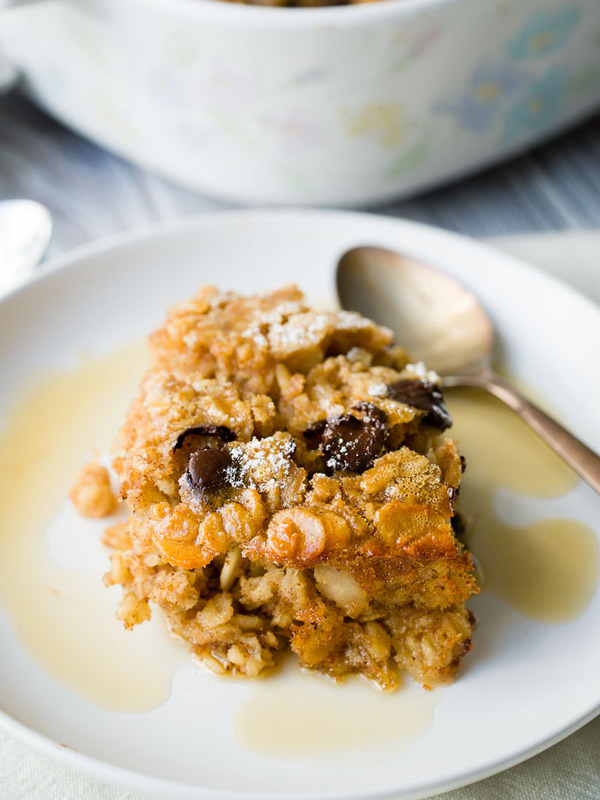 This Healthy Baked Oatmeal recipe is easy to make for breakfast and it's delicious! 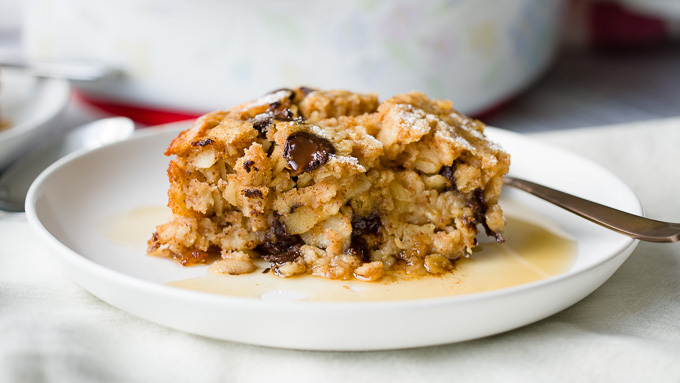 You'll love this baked oatmeal casserole made with old fashioned rolled oats, almond butter and dark chocolate. Preheat the oven to 375°F / 190° C. Grease an 8x8 pan with oil. In a medium bowl, mix together the oats, almonds, baking powder, and salt. Set aside. In a large bowl, beat the egg. Whisk in the almond butter and maple syrup. Stir in the milk and vanilla extract. Stir in the oat mixture. Pour the mixture into the prepared pan. Sprinkle the dark chocolate chips on top. Stir it very slightly, just enough so some of the dark chocolate chips mix into the batter. Place in the oven and bake for 45 minutes, until the oatmeal is set in the middle. Allow to cool for about 10 minutes, then dust with powdered sugar (if desired) and serve. Top with additional maple syrup if desired. 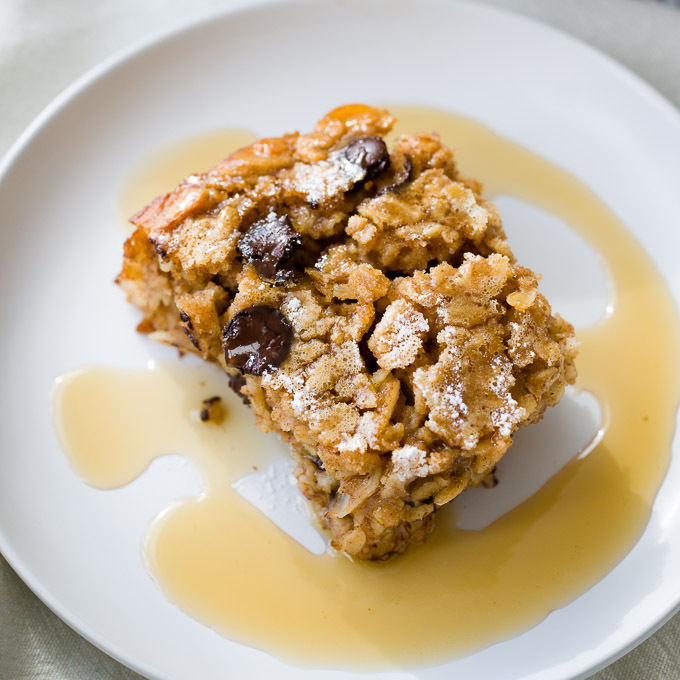 Love this Healthy Baked Oatmeal Recipe? 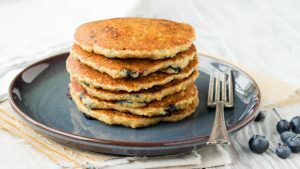 Try these other breakfast recipes with oats.